For our last Wednesday night dinner at Tuscany #1710 before my move to the big D, I decided to go all out with an “old and new” Surf and Turf meal. The sides for this meal have already been posted (homemade pesto pasta and caprese salad). For the surf, we decided on scallops (“the old”). 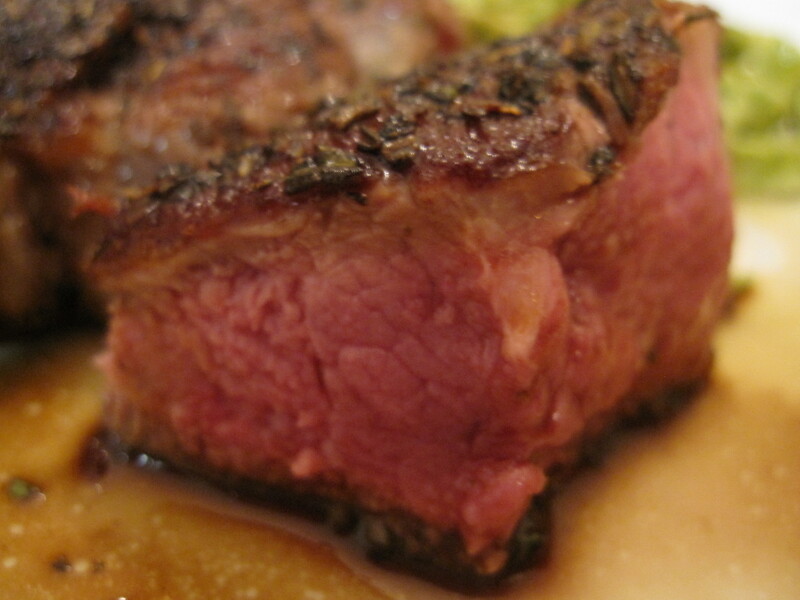 For the turf, we went with lamb loin chops (“the new”), something we’ve never made before. 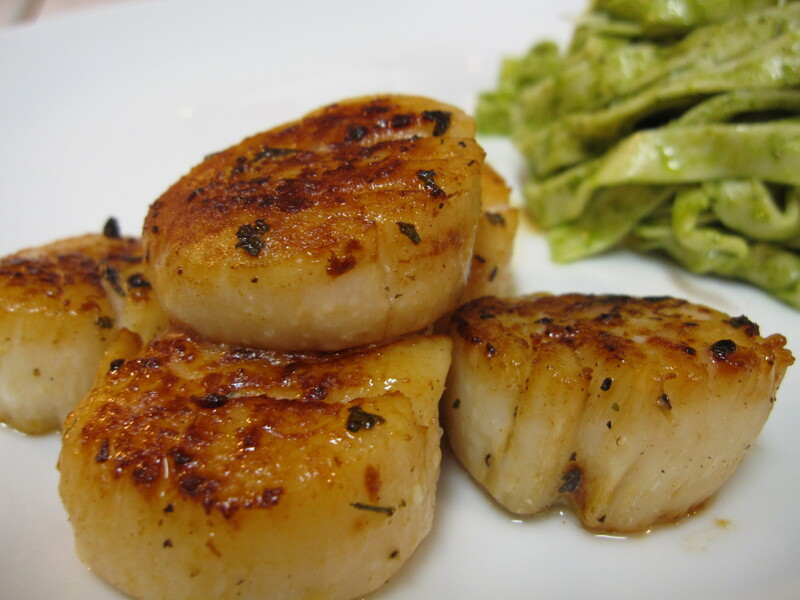 The scallops were marinated for 15-20 minutes in lemon juice, S&P, paprika, and a dash of cayenne. Seared on high for 1-2 minutes, flipped over for another 1-2 minutes, and then reduced heat to medium high to finish cooking. Pretty hard to mess up scallops, so I always recommend them for new chefs looking to impress their date. 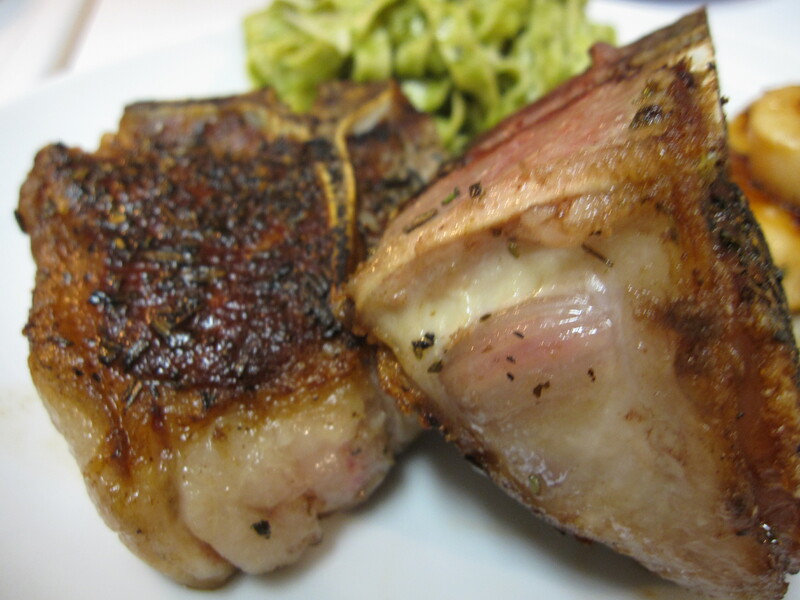 For the lamb, I bought lamb loin chops (with bone), since actual rack of lamb chops have very little meat [and they are twice as expensive]. 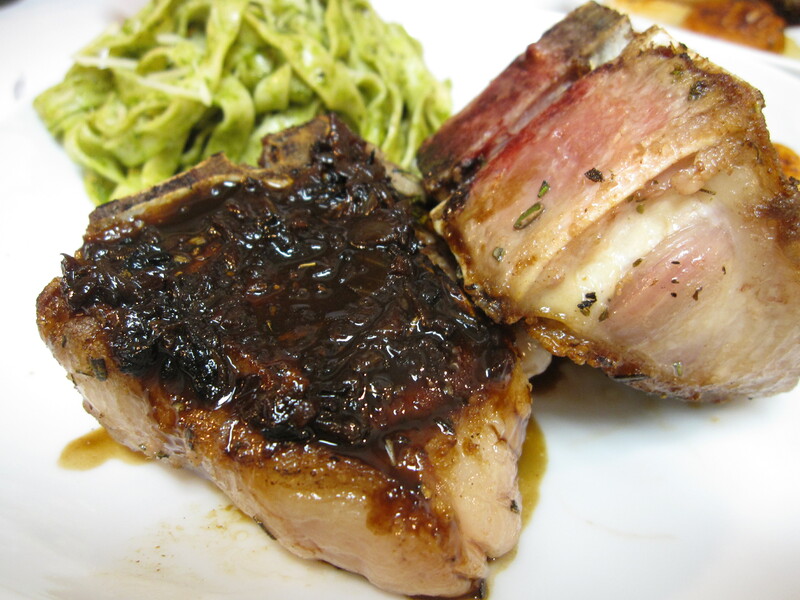 We knew this recipe from Allrecipes would be a hit (here) since it had 594 reviews and 15,385 people had saved it….and it definitely was! I’m salivating as I post these pictures. Rare to medium rare. yum. THAT’s when he knew you were a keeper? ?